The Northwest's premier food festival starts today! 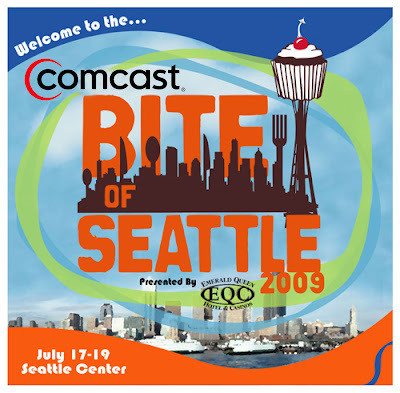 The Bite of Seattle is located at Seattle Center right at the base of the Space Needle. This is the 28th year of this great festival of food from restaurants and vendors from all across Western Washington. This year the Bite features over 100 food booths, 4 beer gardens, 7 outdoor entertainment stages, the Family Fun Zone, Comedy Club, Bite Wine Tasting, and many charitable fundraisers. As you enjoy all the delicious food samplings, you can check out some of the over 150 entertainment acts throughout the weekend. The weather is supposed to be beautiful all weekend, so grabbed your friends and family and head on over to Seattle Center to experience the best food that Seattle has to offer! Hours: Friday & Saturday 11 a.m. - 9 p.m.